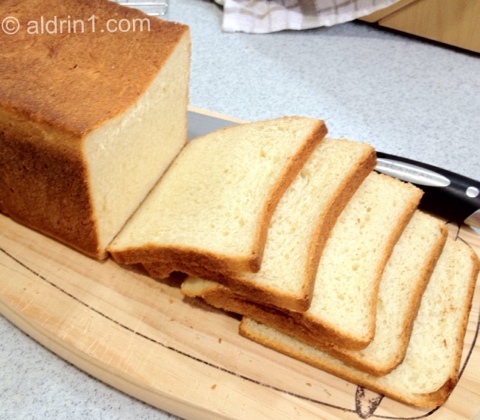 This recipe has separate instructions for the Manual Method, using a Mixer and using a Bread Machine for the initial steps (steps 1 to 3), while My Method is adapted from the Manual Method to knead the dough by hand. 1. In a large bowl, combine the milk, water, butter, salt and sugar. Add the dried milk, flours and yeast, stirring till the dough starts to leave the sides of the bowl. 2. Transfer the dough to a lightly greased surface, oil your hands, and knead it for 5 to 8 minutes, or until it’s smooth and supple. Because of the relatively high fat content of this dough, it’s a real pleasure to work with. 3. Transfer the dough to a lightly greased bowl or dough-rising bucket, cover the bowl or bucket, and allow the dough to rise till puffy though not necessarily doubled in bulk, about 1 1/2 hours, depending on the warmth of your kitchen. Jump to step 4 below. 1. Combine the ingredients as above, using a flat beater paddle or beaters, then switch to the dough hook(s) and knead for 5 to 8 minutes. 2. 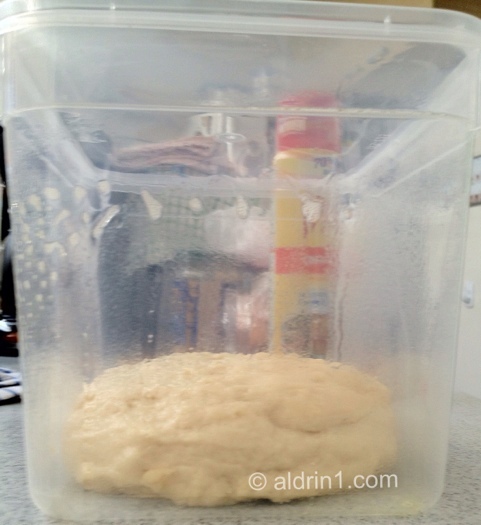 Transfer the dough to a lightly greased bowl or dough-rising bucket, cover the bowl or bucket, and allow the dough to rise till doubled in bulk, 1 to 2 hours. 3. Jump to step 4 below. 1. Place all of the ingredients into the pan of your machine, program the machine for Manual or Dough, and press Start. 2. 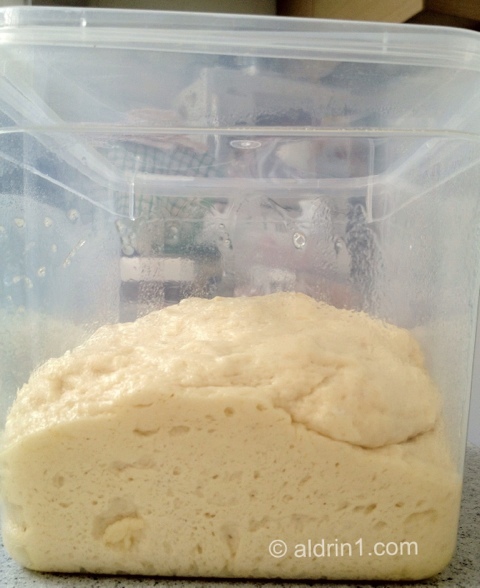 When the cycle is finished, remove the dough and proceed as follows. 1. Put the butter (straight from the fridge so it’s still chilled) in a bowl and add the hot water (about 208°F or 98°C) and stir to melt the butter, breaking up the butter into smaller pieces to hasten its melting. Then fresh milk (also straight from the fridge) was added, which should result in the mixture cooling to lukewarm temperatures (about 110°F or 43°C). Add the salt, sugar and milk powder and stir well to dissolve them in the mixture. Using the beater, mix in the yeast, potato flour and the dough conditioners. Then, with a wooden spoon, gradually mix the bread flour in as much as possible (you may find the dough remains flaky, but will come together when it is kneaded). 2. Turn out the dough onto a lightly greased work surface suitable to be used for kneading the dough, and with greased hands, knead the dough for 5-8 minutes (I did it for 8 minutes), added as little additional bread flour as possible if the dough gets too sticky. 4. 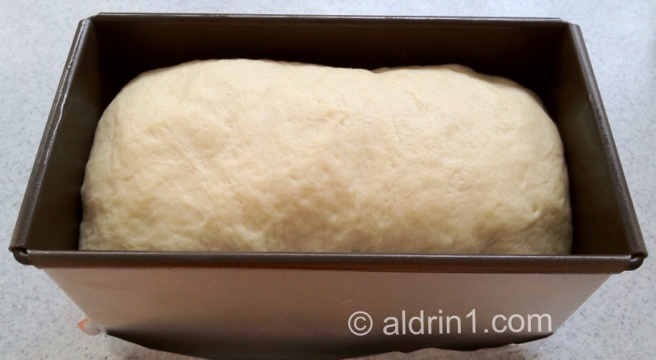 Lightly grease a 9″ Pullman lidded loaf (pain de mie) pan. 5. Transfer the risen dough to a lightly greased work surface and using your fingers, gently flatten it to a rectangle the length of the pan (9″) and about 1/2 inch thick. Then starting at one 9″ side, roll the dough to the other side and with the seam facing up, tuck a bit of each end of the 9″ roll onto the seam to form a 9″ log. Place the 9″ log into the pan seam-side down and gently press it down to flatten the top of dough and to make it fit into the pan’s corners. 6. Cover the pan with its greased cover, leaving a gap to be able to see it rise in the pan. Allow the dough to rise until it is almost reaching the rim of the pan, about 30 minutes to 1 hour depending on the warmth of your kitchen (it may rise even more slowly in a cool kitchen; don’t worry, this long rise will give it great flavor) (my loaf only took 30 minutes to rise up to almost touching the lid at a room temperature of 86°F (30°C)). 7. Carefully close the lid on the pan and let it rest an additional 10 minutes while you preheat your oven to 350°F (180°C). 8. 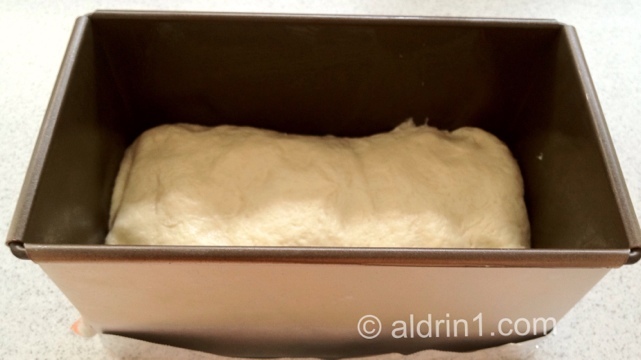 Bake the bread for 30 minutes. Remove the pan from the oven, carefully remove the lid; it’ll be a light golden brown. 9. Return the bread to the oven to bake for an additional 10 minutes, or until it tests done: an instant-read thermometer inserted into the center will register 190°F. 10. 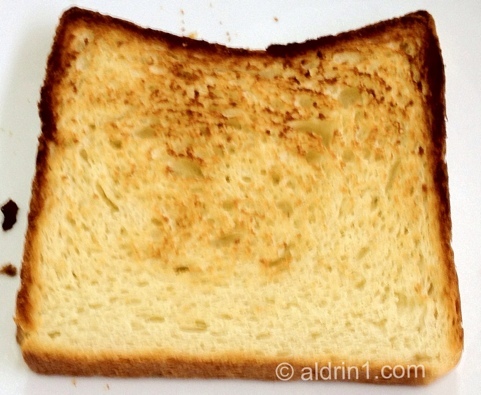 Remove the bread from the oven, and turn the pan on its side, shaking slightly to loosen the bread. 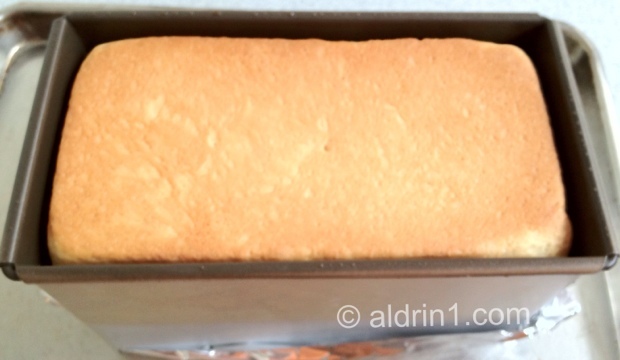 Then over a cooling rack, turn it over and lift off the pan. 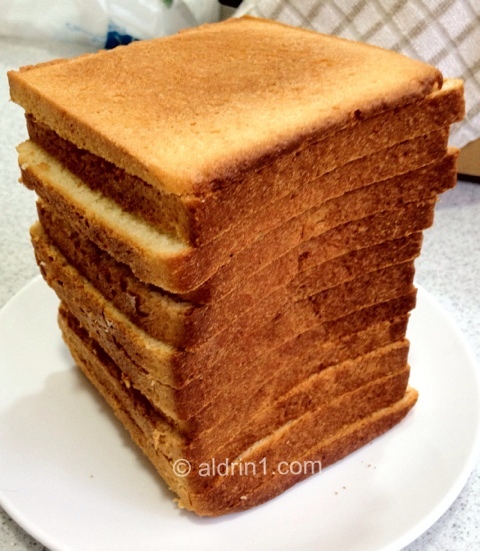 Gently turn the bread right side up, so its top is facing up, and let it cool completely on the rack before slicing it. Yehhhh! I’m pretty happy with how Trial #3 turned out, don’t you think? By carefully watching the rise of the loaf, I was able to prevent the dough from over-proofing so that it was able to rise fully to fill the pan while it was baking. I also think the adjustment in the amount of flour used also helped, right? And it tasted just as great a King Arthur Flour’s original Pain de Mie, and I do believe this version is slightly softer and a bit more moist. However, it still can’t compare to the softness and moisture of SB, although my kid said this loaf tasted just like SB bread. 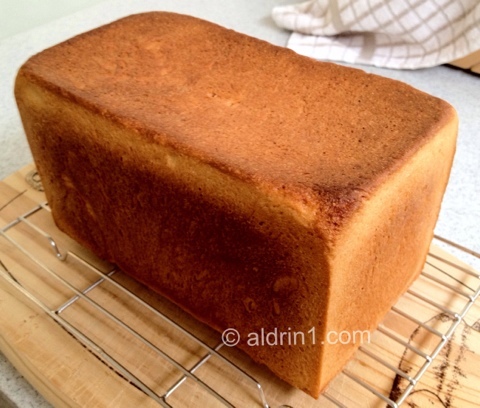 Do you have any suggestions as to how to make the Pain de Mie more soft and moist? That was a nice looking loaf. If your family likes it, I would keep on making just that way. There is alot of engineering that goes into commercial bread making with their temperature control, timeing and machinery. Home made bread is more of a art then a science. Commercial bread making is a highly engineered science. If I made your recipe, mine would come out slightly different because I made it. Your bread is your art. That is why artisan breads of the same type vary from one bakery to another even if they share the same dough starter. 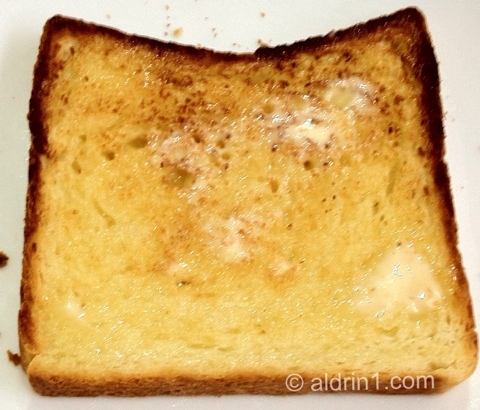 I made the kids french toast today with the rest of the bread I made Sunday. 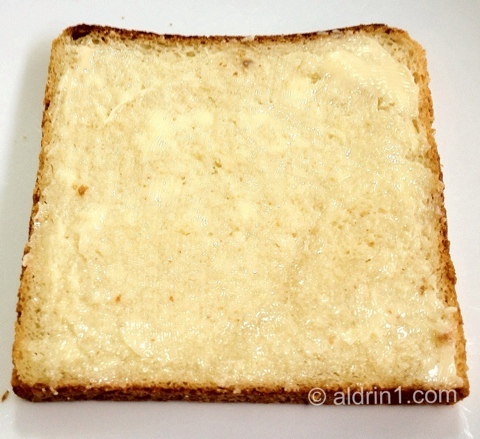 I will try making my soft sandwich one of these days. Thank you.